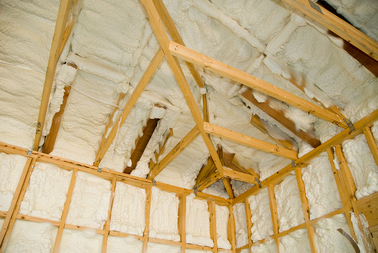 At Spray Foam Orlando, we recognize the value of an energy efficient home or business, as well as the power of spray foam insulation in Orlando to seal your home's attic for energy efficiency. Even with the drop in oil prices energy costs have not dropped as much as one would expect. This means that people still place a high value on energy efficient homes and businesses, and a lot of that has to do with how well a structure is insulated. In order to determine how well a home or buildings insulation is working for it they rate each type of insulation with what is known as an ‘R-value’. Let’s take a quick look at what R-value represents and a few other things that are associated with it. So what does this strange number called the R-value actually represent anyway? In Lehman’s terms, it measures the heat flow through a given thickness of a certain material. For purchasing purposes the higher the R- value, the better insulator that type of product is supposed to be. So basically insulation is not meant just to stop the flow of cool air into your home, it’s also meant to keep the heat that you supply to the house or business in there. If this heat needlessly passes through your homes exterior to the outside then you will have to spend more money on energy to reheat your home again. That is the objective of installing Orlando spray foam insulation, as it will achieve an R-value significantly higher than traditional batt insulation. Some experts argue that it is impossible to define a product’s true insulation value just by examining one aspect of it and then assigning it a number based on that aspect because they feel the forces that act upon insulation make its R-value fluid instead of it being static. They equate buying insulation based on a single figure such as its R-value to like buying a car without knowing what size engine and how many doors it has. Here is a case in point. Standard types of fiberglass insulation generally have a pretty good R-value and that is why they are so widely used based on this number alone. But when certain conditions form, some experts argue that the R-value of fiberglass insulation actually changes. For instance, when the temperature gets very cold outside and reaches what may be called a critical point, that convection and not actually heat deflection takes place within the insulation itself. If this is indeed true as experts surmise, then it would cause massive amounts of heat loss when the temperature reaches that critical cool point. In this case the R-value would plummet and not even resemble the R-value that was originally assigned to it. When this critical temperature point is reached the air inside the fiberglass insulation actually starts to circulate in what is known as convective loops. That is what leads the insulation to then support the convection of heat through it instead of the way it normally deflects heat back into your home. As was stated, this can lead to some very big heating bills at this time if your home, business or any other structure you own is insulated with standard fiberglass insulation when the temperature outside reaches this critical cold point. What takes place inside of the fiberglass insulation does not happen to spray foam insulation when these temperatures get to the same cold point; the spray foam insulation will continue to work at its current R-value and not start the convection process like fiberglass insulation does. This means that the next time you go to do an insulation project, you may want to seriously consider using a spray foam insulation contractor in Orlando instead of the less expensive fiberglass insulation. What you spend on initial upfront costs you are most likely going to recoup several times over in energy savings; this is especially true if you live in an extremely hot or extremely cold climate, and yes, Orlando is that very hot climate for many months during the year! 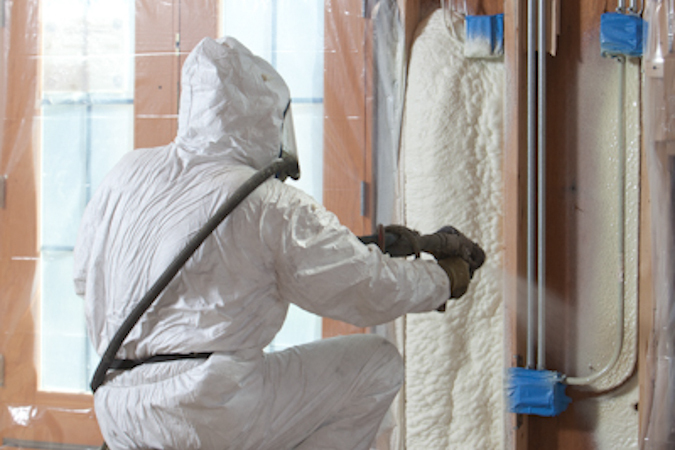 Good insulation products such as spray foam insulation go onto a surface as a semi-pliable substance and this helps them to do such things as fill air gaps, cracks and spaces also. This is not taken into consideration by R-value even though it is a very important insulating consideration. 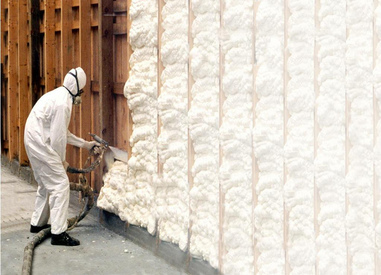 It is estimated that if you put the proper spray foam insulation in Orlando in your home or business you will save as much as 30% on your yearly energy bill; that is quite a bit of money over the course of a year if you stop to think about it. Hopefully this article alerted you to the fact that the next time you are shopping for insulation there are some other things you need to consider before you buy, and ask a lot of questions instead of just looking at each type of insulation’s R-value. The bottom line, comparing R-Values is definitely not an "apples to apples comparison" but more like "apples to caviar" – you get the point! 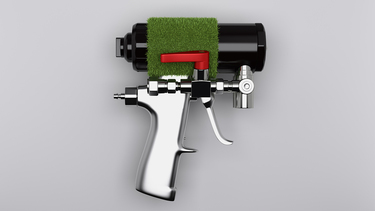 Call Spray Foam Orlando today for a free estimate for your home or business at 407-641-2746.